Each $89 box contains 24 packs. Each pack contains 5 cards. 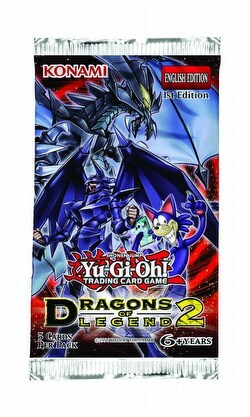 Yu-Gi-Oh Dragons of Legend 2 includes several brand new cards from the original TV Series, Yu-Gi-Oh! 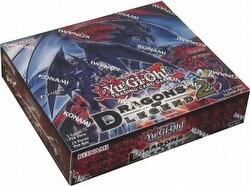 GX, and Yu-Gi-Oh! ARC-V. Duelists can finally complete their collection of the Legendary Dragon monsters in the show with Legendary Knight Critias and Legendary Knight Hermos. 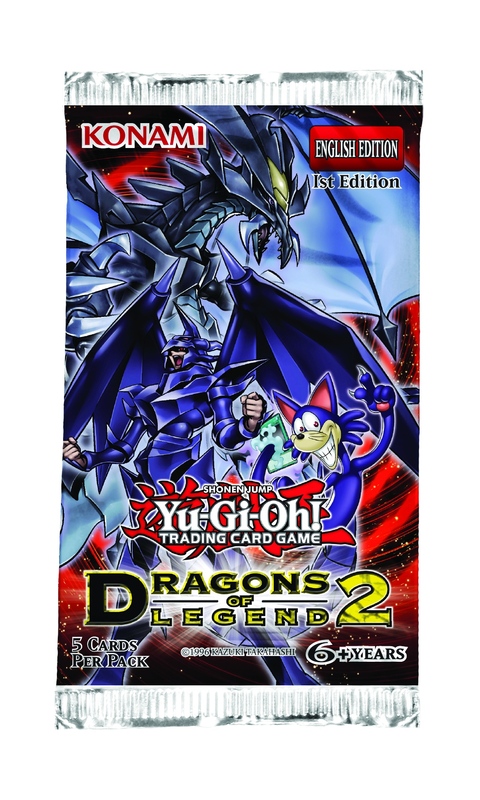 Fans of Pegasus and Toon decks will be thrilled with the arrival of several long-awaited Toon cards like Toon Kingdom and Toon Ancient Gear Golem. There are also additional cards used by Joey, Kaiba, and several characters from the new ARC-V series. There are 45 cards in the set (27 super rares and 18 prismatic secret rares). There are 5 cards in every booster pack (4 super rare and 1 prismatic secret rare).